Are you tired of the high cost of using a traditional business phone system? 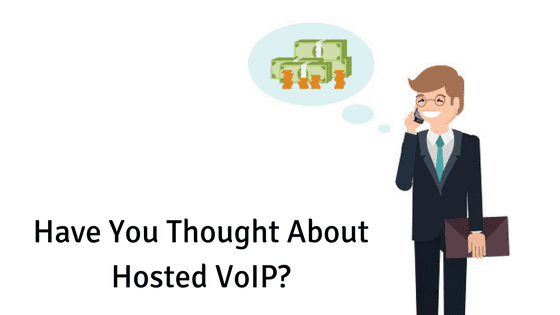 You can save money while still getting the same quality with a VoIP System for your business. Over half of the homes in the U.S. depend solely on cellphones for phone service. The remaining residences use traditional landlines or the newer VoIP (Voice over Internet Protocol). It’s predicted that by the end of 2018 only 6 percent of Americans will still be using landlines. This begs the question as to whether it makes sense for a small or medium-sized business to abandon its current telephone system and make the jump to an alternative. I believe the answer is a resounding “yes!” So, why hasn’t your business already made the switch? I’ve been telling all of my clients for years that they can streamline their businesses and save money each month by simply changing the way they make and receive phone calls. Now that the prices for VoIP business systems have come down while the quality of their connections and other services continue to improve, it’s definitely the right time for your business to make the switch. Your complete office phone system is always with you no matter where you go. Whether you’re on vacation or just stuck in a traffic jam, with VoIP you always have access to your business phone system. You can make and receive phone calls, check messages and even host a conference call using the same system you use when you use in the office. A third of all workers spent at least some time working remotely during the past year, and a VoIP business system is perfect for keeping these off-site workers as productive as in-house employees. Keep your initial and ongoing costs low. You won’t get hit with a huge setup cost if your company switches from a traditional PBX system to a cloud-based one. The cost of hardware for VoIP systems is more affordable than traditional phone systems. Plus, there’s a good chance you can continue to use your current telephones, or that your VoIP provider will include the cost of hardware with your monthly fee. And, these monthly fees are low and fixed, so you’ll never have to deal with unexpected telephone service bills. A VoIP phone system is easily scalable. Is your business growing, or do you have seasonal surges and lulls? When you use a traditional PBX, it’s difficult and expensive to add hardware during those busy times of the year. And when business slows down, you can forget about returning the hardware you no longer need. A business VoIP phone service lets your business pay for only what you need, when you need it. Give your IT guys a break with hosted VoIP services and cloud-based PBX. Setting up and maintaining a VoIP business system and a PBX in the cloud is much more manageable than with your current telephone system. Everything is handled online, and it’s simple enough for even a non-technical person to figure out. If business owners do run into trouble, a simple call to the VoIP provider usually gets everything working again in minutes. Access all the features you love about your current telephone system, and alternatives for those you hate. You can find the same features on a VoIP phone system that are on your current PBX. VoIP has features like caller ID, call forwarding, a hold function with music, call logs and three-way calling. However, there’s so much more you can choose from. How about adding an auto-receptionist who can greet callers and forward them to the appropriate personnel? Or, opt for multilevel IVR to give callers the ability to find information without speaking directly with an employee. When it comes to options on a cloud-based PBX system, the sky truly is the limit. Convenience: When you use a VoIP system for your business, you can always get work done whenever and wherever you roam. Cost:You can save money and better track ongoing expenses when you switch to a VoIP business phone service. Scalable:A VoIP phone service is just right, no matter how many people your company employees. Simplicity: It doesn’t take a degree in IT to set up and administer a VoIP system. Features: Get the exact features your business demands when you select a VoIP business system. For advice, or information on up-to-date IT strategies and solutions to manage your business, Tektonic can help! We serve businesses in The Greater Toronto Area with a variety of services designed for their unique needs. Contact us at (416) 256-9928 or sales@tek-help.com to learn more.